Gates Of Thornhill - Maziar Moini Broker Home Leader Realty Inc. 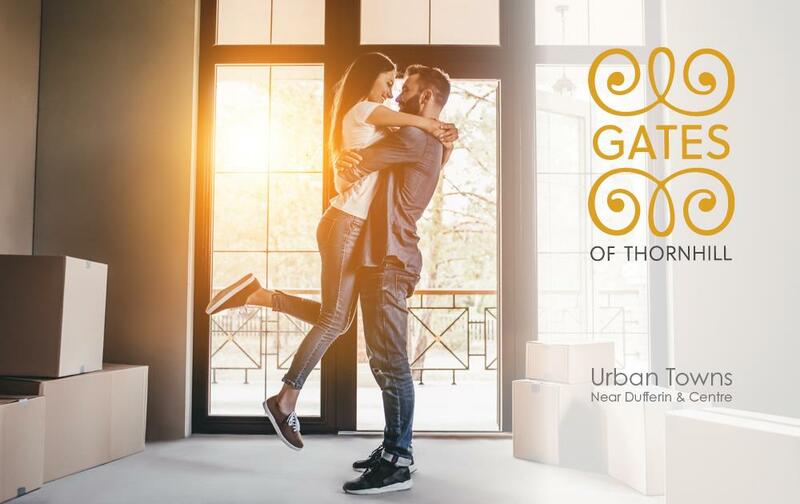 Introducing GATES OF THORNHILL, an exciting new release of URBAN TOWNS, coming soon to Thornhill near Dufferin and Centre. Thornhill enjoys the unique distinction of being situated in two different cities; the City of Vaughan, the region’s fast-growing suburban municipalities west of Yonge Street, and the vibrant, diverse City of Markham east of Yonge Street. Thornhill shares its southern boundary with the bustling City of Toronto. The old village of Thornhill is a cluster around Yonge Street between Centre Street and John Street. The east branch of the Don River highlights this beautiful rural area and flows downstream through the village and adjacent ravine parkland. The new Thornhill branched out from the old village is a collection of home subdivisions surrounded by shopping centres, community centres, and highly ranked schools. Thornhill landmarks include the historic Thornhill Village heritage area, Uplands Golf & Country Club, Bayview Golf and Country Club, and Promenade Shopping Centre. Be sure to register below and be among the first to receive information about this exciting new project.